When you hear the word Diet, the haunting idea of daunting task and restrictions comes to your mind. Well, that’s not the case anymore. Diet is just a balanced eating to reap health benefits of incredible foods we daily eat. This diet is followed in Greek and Italy back in the 1960s. 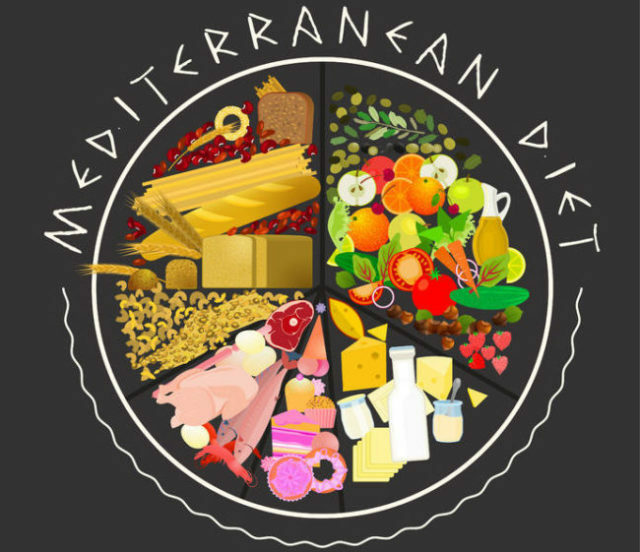 Mediterranean diet is one of the world’s most efficient and healthy diet to lose fat, control blood sugar levels and reduces the risk of depression, anxiety, heart stroke and Alzheimer’s disease. Variety and range of this diet vary according to country and region you live in but generally its combination of fruits, vegetables, olive oil, whole grains, and legumes with a low serving of dairy and protein (lean source). High intake: vegetables, fruits, legumes, potatoes, whole grains nuts, seeds, extra virgin olive, bread, herbs, spices, fish, and seafood is consumed in high amount.Moderate intake: poultry, eggs, cheese, and dairy is consumed in moderate amount. 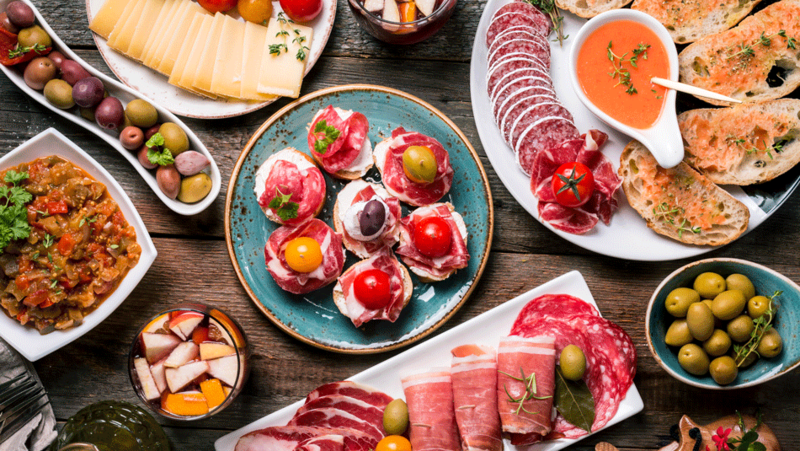 No intake: processed meat, Sugar-sweetened beverages, refined oils, added sugars, refined grains, and other highly processed foods should be eliminated from the diet. • Consume 5 servings of fruits and vegetables a day i.e. Carrots, onions, broccoli, spinach, kale, garlic, Apples, bananas, oranges, grapes, etc. • Include fish in your diet, at least two portions a week. • Choose unsaturated oils and fats and reduce their consumption. • Drink 6 to 8 glasses of fluid a day. • Incorporate whole grains in diet rather than refined ones. • Switch your cooking oil to extra virgin olive oil. Add EVO to your salad dressing or use it as flavor booster on fish streaks. • Instead of gobbling your food, enjoy. Eat with your family and friends rather than sitting in front of the TV.